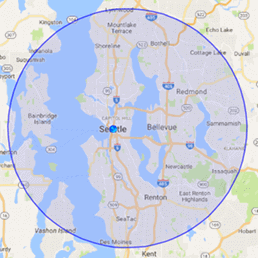 Regardless of what type of water emergency you’re experiencing, you need the services of a fast, experienced company like 911 Restoration Seattle. Water damage is a common occurrence in the Northwest, since heavy rainfall can lead to leaks, overflowing sewage systems and pipe bursts. Our Kent water extraction technicians are available 24/7/365 to take your call. We take water damage extremely seriously, because we’ve seen how quickly something as simple as a roof leak can escalate into a water disaster. In an effort to deliver the best possible customer service for Kent homeowners, we offer free inspections and affordable prices on all of our services to make the restoration process as simple as possible for you. The IICRC certified Kent water removal agents know from experience that water damage does not travel alone, so we made a point to also become experts in mold removal services. Mold can cause health problems for you and your family, and can also deteriorate materials in the home, weakening the support systems of your home. Left untreated, water damage can lead to the growth of mold spores after only 24-48 hours. 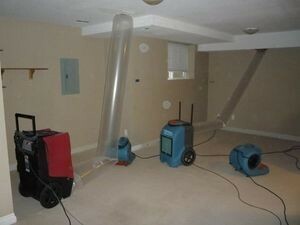 This is why it is absolutely imperative that you contact our Kent flood cleanup team at the first sight of water or mold. If any of these signs appear in your home, give our Kent water remediation team a call right away for prompt, same day mold and water damage remediation service. Even if you don’t have mold, call us after a rainstorm and we’ll give you a free visual mold inspection. If we find anything, our 35 years of experience will help us go above and beyond to get your home mold and moisture free. At 911 Restoration Seattle, our Kent insurance specialists will work hard to cooperate with your insurance company. We will help you understand your policy and even go a step further by filing your claim for you. Our Kent water extraction team will walk you through every step of the process. We have almost as much experience working with insurance companies as we do eliminating water damage, so we have the expertise needed to answer all of your questions. We also offer affordable prices, because we want to ensure that you keep as much money in your pocket as possible. The moment you find water damage in your home, call our water damage Kent experts with 911 Restoration Seattle so we can show you exactly why we’re the best today!